Hooton, Ellesmere Port, Ince, Hapsford, Kelsall, Clotton, Huxley, Bulkley, Willey Moor, Hanmer, Knolton, Overton-on-Dee, Chirk, Ceiriog Valley, Llangollen and Rhewl, Llandegla, Minera, Llanfynydd, Hawarden and Connah's Quay. Where we actually cover in terms of pubs is often a topic of hot debate (no, seriously) and certainly causes much confusion amongst members. Is it based on postcodes - the method used to determine branch membership numbers - or does it follow specific national, county, district and parish boundaries? Well, the answer is a bit of everything suggesting that whoever devised the rules must have had ten pints of Old Peculier beforehand as well as a few psychedelic drugs. If you wish to lose the will to live then read on. In England it's relatively straight forward. Everywhere in the former local government districts of Chester and Ellesmere Port & Neston Borough (prior to their merger with Vale Royal to form Cheshire West & Cheshire) is ours except for Willaston, Neston and Parkgate which Wirral CAMRA Branch supervises. In Wales it's more fiddly. Very fiddly in fact. 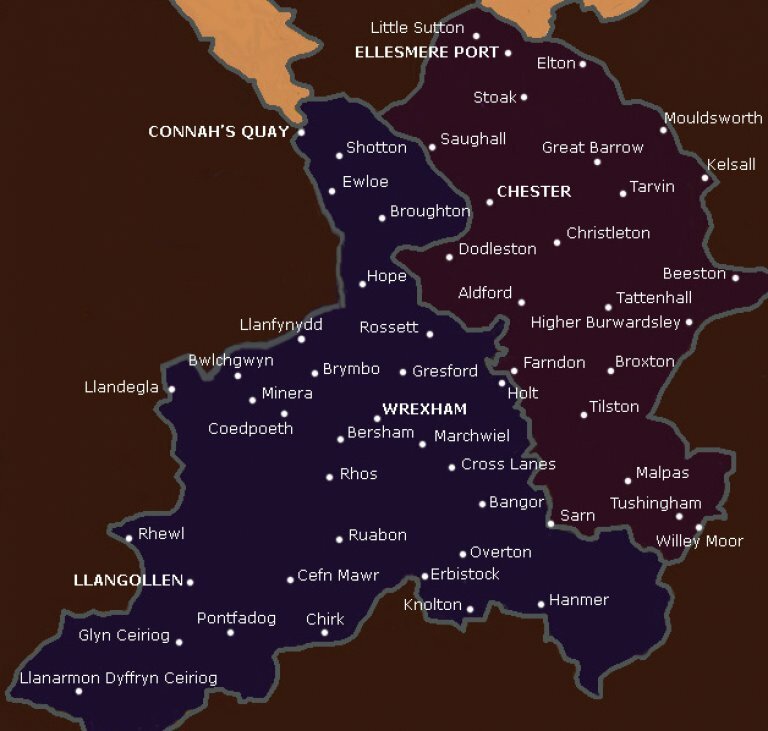 All of Wrexham County Borough is covered by this branch while we also administer parts of Flintshire and Denbighshire dependent on the postcode. Let's break this down further for the masochistic amongst you. Now, there's also some bewilderment about SY13 and SY14 postcodes which affect Barton, Hanmer, Malpas, Nomansheath, Sarn, Shocklach, Tilston, Tushingham and Willey Moor. If this is you, but you live in either Wrexham County Borough or Chester District (as was), then we cover your patch. Trust us on this one. Now go to bed, take a sedative, and be ready for an exam in the morning.